« How did rate control in atrial fibrillation easily tamed rhythm control ? 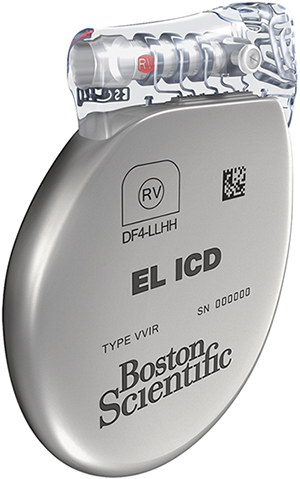 Innovation in pacemaker battery technology : ICDs go slim and live longer ! ICDs are one of revolutionary devices , invented last century that can defy “death & fate” in high risk cardiac patients who are threatened with ventricular tachycardia or fibrillation .A decade long hard work by Mirowski and team from John Hopkins culminated in the dramatic the first AICD implant in 198o. ( In my opinion, this medical invention can be compared to an event of such significance as moon landing by Armstrong and team ! ) Ironically , in the last decade such a revolutionary device was sort of misused and thousands of devices were explanted for inappropriate indications. Fortunately , better sense prevailed recently .The indications are getting refined. I am sure ICD will go a long way in prevention of both expected and unexpected sudden electrical deaths .We are into the 4th decade of its evolution.While the electrical circuitry has been mastered , power supply remains an issue as they require continuous power supply like a mobile phone. Current technology allows about 6-8 years of battery life. Now , Boston scientific has come out with new technology which make its battery life extend by 100% to 12 years. It is a major break through , expected to evolve further until probably we have rechargeable batteries or biological power sources .Stretching a wild thought , the days couldn’t be far off when the smart phones which are omnipresent in every human-being , could not only power the ICD remotely and control it too ! With structural heart disease and spontaneous sustained VT, whether hemodynamically stable or unstable. Link to Product manual form Boston scientific.